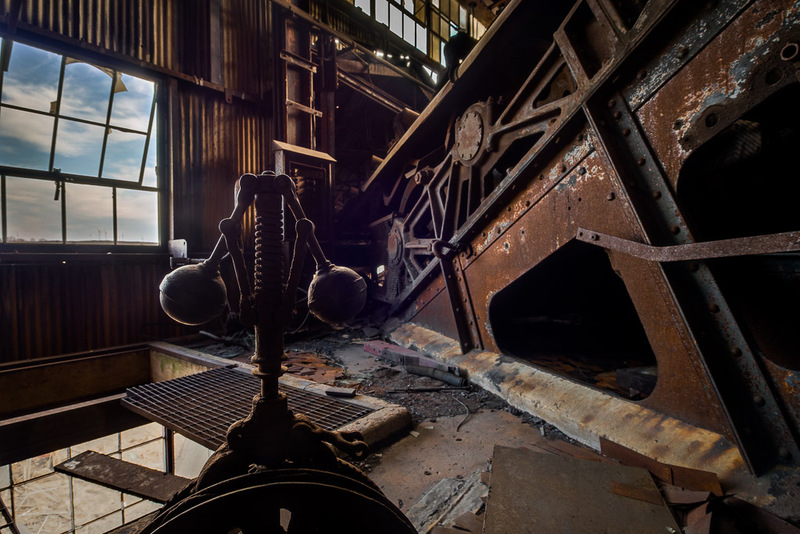 To the right is the top anchor of the bellt sysstem and motor drives which hauled the coal to the top of the building. These are just a teaser from my first visit to an abandoned coal breaker in the western middle fields of central Pennsylvania's anthracite coal country. I arrived there just before sun up and shot throught the early morning. Taken with a Panasonic G5 (DMC-G5) and Olympus 9-18mm lens. Please visit the Entropic Remnants website or my Entropic Remnants blog -- THANKS!